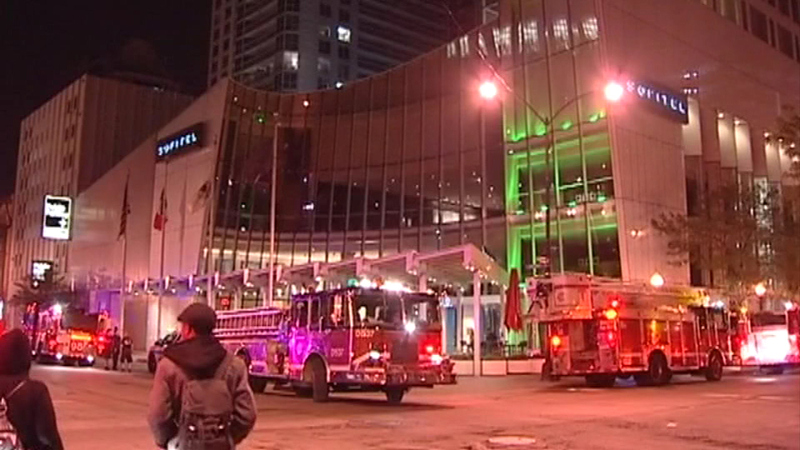 CHICAGO (WLS) -- Fire officials say two fires at the luxury Sofitel Hotel were set. Officials were called to the hotel, 20 East Chestnut, around 2 a.m. Saturday after someone set garbage on fire in a stairwell near the 19th floor. A second fire involving towels was discovered on the 31st floor. Several hotel guests were evacuated while the Chicago Fire Department and Chicago Police Department searched the building. The arson remains under investigation.